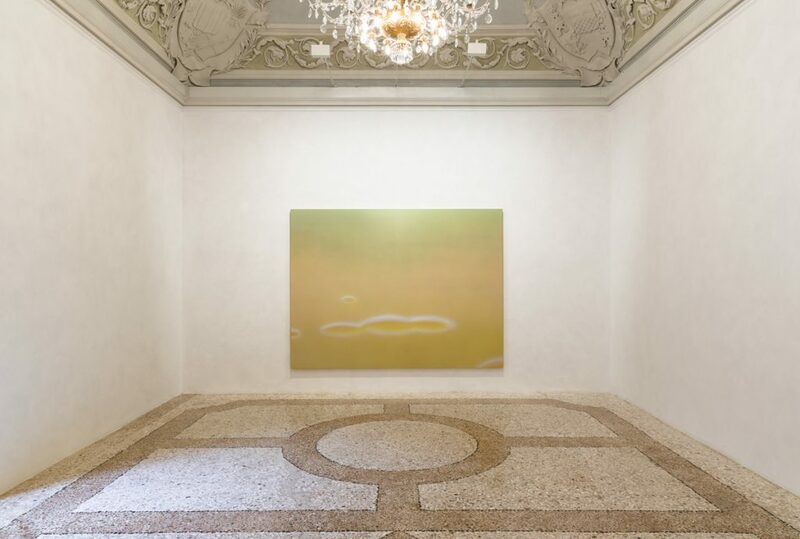 Massimo De Carlo is pleased to present Purgatory Paintings, a new exhibition by the American artist Dan Colen. 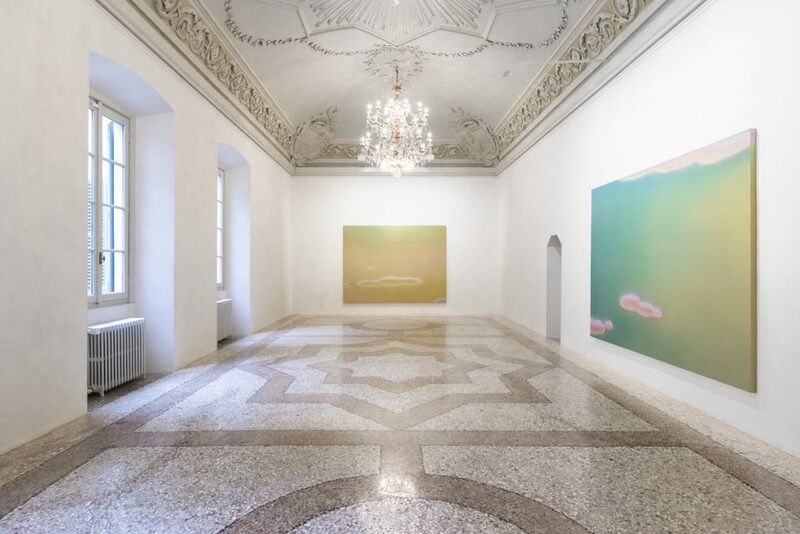 The exhibition, which will take place in the Milan gallery in Piazza Belgioioso, will open to the public on the 9th of May 2017. 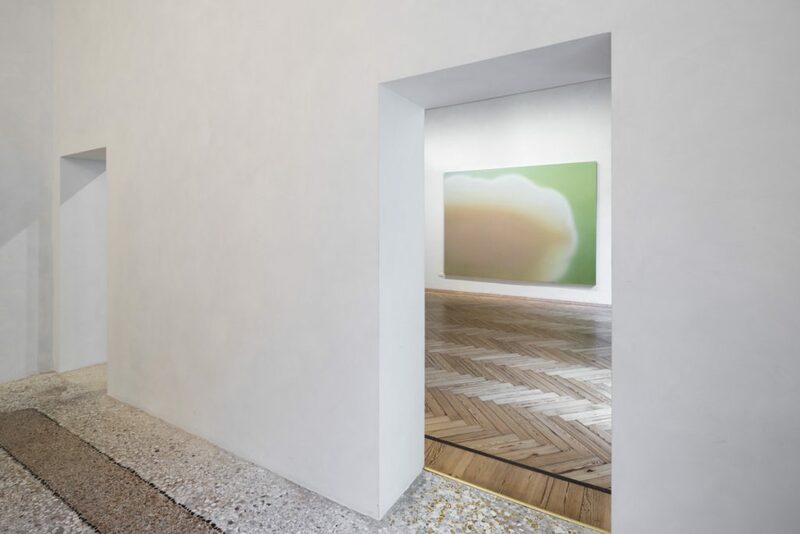 Throughout his practice Dan Colen has used the canvas as the medium to investigate the transcendental value of banality, encompassing fairy-tales and found objects to draft a narrative that elevates materiality itself by shifting between non-representational subjects and figurative ones. The Purgatory Paintings are a continuation of the artist’s pursuit of placing art between the worlds of abstraction and representation. 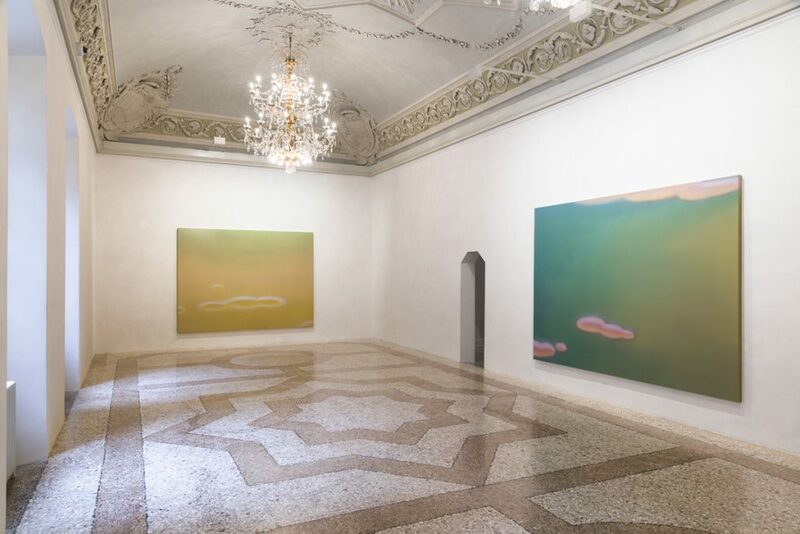 Each canvas, seen from a distance, looks like cloudscapes, however, as one’s body enters the close physical space of the canvas, the subject matter dissolves into a fog of formlessness and colour. A skilful and thorough labour process is involved in the making of the Purgatory Paintings, where the end result is a painting comprised of myriad translucent layers – none of which reveal any hard edges or brushwork. 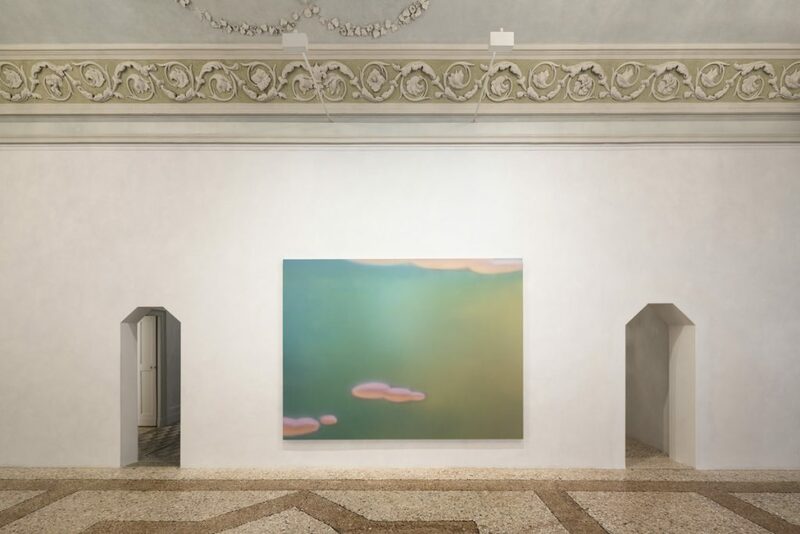 Instead, paint in the Purgatory series behaves in much the same manner that clouds do themselves: a suspension of liquid aerosols so finely scattered as to appear like a formless gas one must squint to perceive. 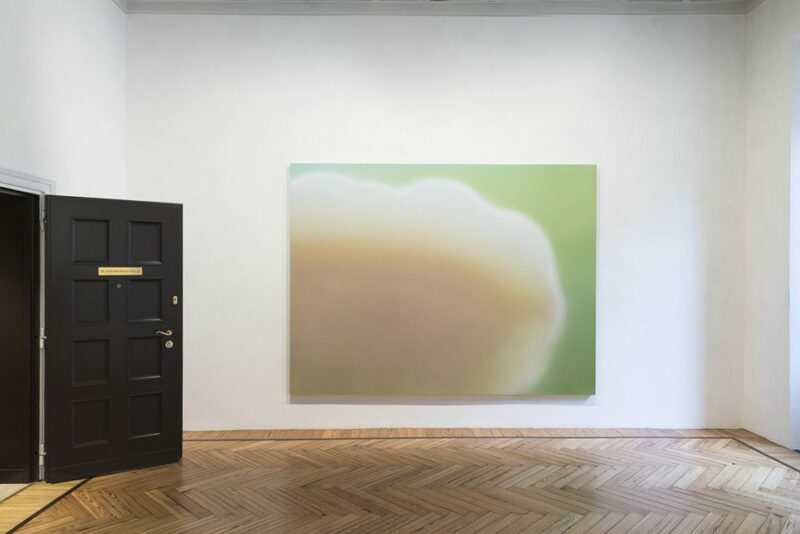 The notion of purgatory can be applied to the paintings themselves, which are caught in the midst of an investigation of the painterly gesture, and to the subjects of the works: looking at the clouds in the paintings it is impossible to know whether a storm is breaking apart or just setting in, whether the sun is on its way up, or on its way down. Both time and space, then, are unresolvable, and the resulting works appropriately conflate nothingness with the infinite. Foregrounded shapes stand in stark contrast to a deeper atmosphere, confusing the gradations in between. Like Purgatory itself, one cannot perceive the distance out or discern whether there is no middle ground or only middle ground. 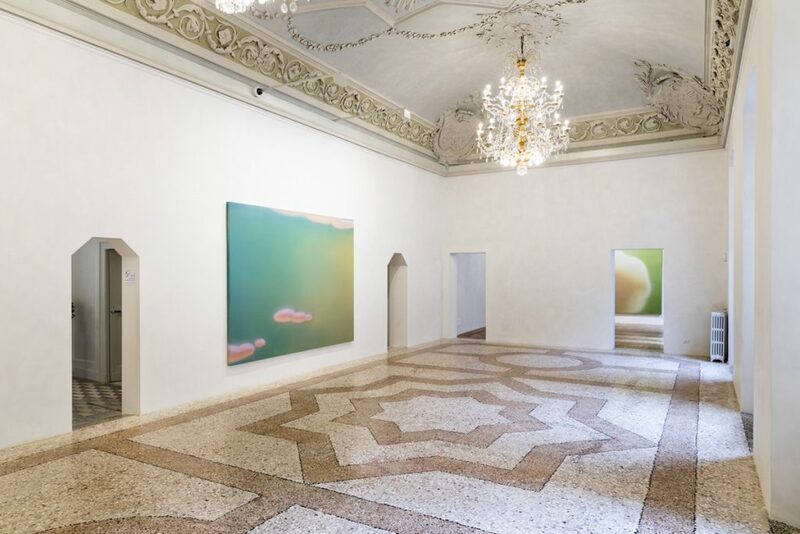 The exhibition, that marks Dan Colen’s return to Italy after six years, offers an insight into the way that we now experience nature and consciousness through hastily defined, synthetic filters allowing theatrical and cartoonish fantasy to become an ideal platform on which to stage the contemporary sublime.